Sometimes bad people win and good people lose. Some people are just plain lucky. It may never be you. No one ever has it as easy as you think they do. We blame life for our lives because it’s easy to do. Nothing good ever comes from focusing on blame. Failure is not always bad. Success is not always good. It is what you learn from each that makes the difference. One moment in time can change your whole life. How you view that moment affects your future more than the actual event. 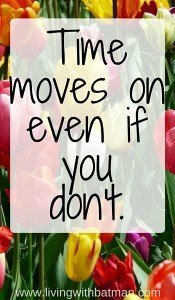 Time moves on even if you don’t. 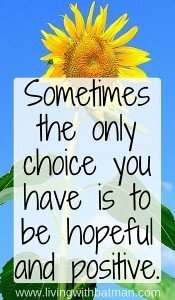 Sometimes the only choice you have is to be hopeful and positive. We waste too much time worrying about things we can not change. We don’t make enough effort changing the things we can. 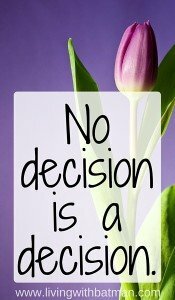 Every decision you make will be viewed by someone as wrong. We let people who will not be affected sway our decisions. Our free will is usually limited by our own minds. We say yes to others too much. We say no to ourselves too often. It is harder to change someone else’s view than our own. Don’t try to change someone else, change your situation. We feel guilty when we allow others’ expectations to invade our own. We waste too much time comparing ourselves with others. 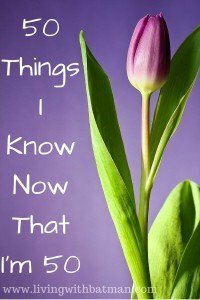 We spend too much time over analyzing our circumstances and not how we feel. The lies we tell ourselves are more dangerous than the lies we tell others. Live within your own emotional means and you will be less stressed. 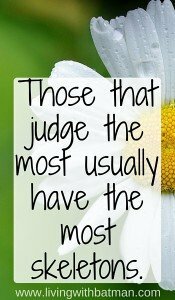 Those that judge the most usually have the most skeletons. You never really know anyone. You don’t have to like everyone. Everyone doesn’t have to like you. Best foes can become best friends. Friends will come and go through your life and that’s okay. 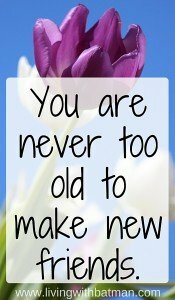 You are never too old to make new friends. Knowing your own wants, dreams and aspirations is hard. We are never really sure what will make us happy. 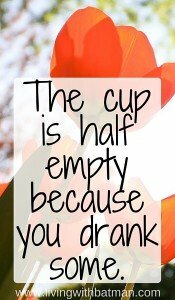 The cup is half empty because you drank some. Sometimes content should be good enough. We try too hard for the big impact when the smallest gesture can cause a larger ripple effect. Controlling all variables is impossible. 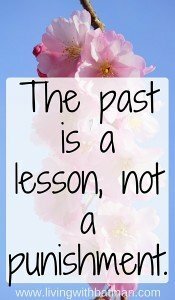 The past is a lesson, not a punishment. If you always focus on what is missing, you will lose sight of what you already have. 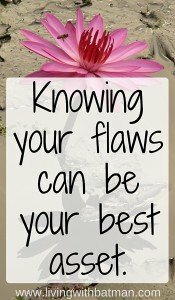 Knowing your flaws can be your best asset. Forgiveness is the best gift you can give yourself. Problems are solved with solutions not excuses. 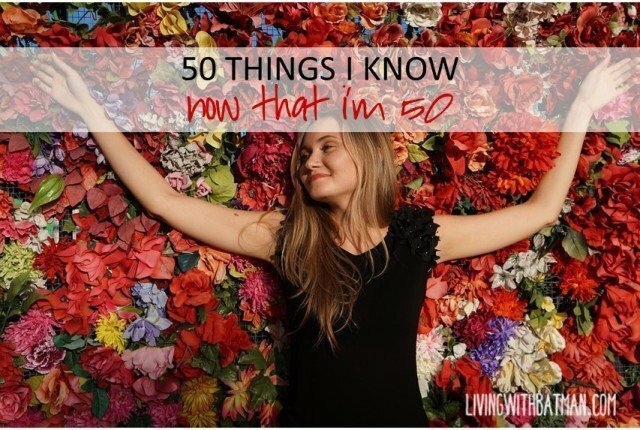 The older I get, the more I have to learn. Life begins afresh everyday. Embrace it, experience it and learn something new.